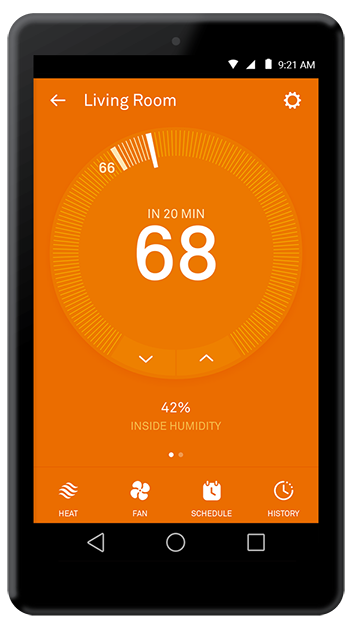 The Nest Thermostat | Aspen Aire Inc. This home thermostat might* actually end the wars over the thermostat in your home. The Nest thermostat is not only easy to use and is quickly installed by a professional, it’s also compatible with most smart phones, tablets, and even Apple watches. Control your thermostat from anywhere with a user-friendly app that allows you to easily adjust and keep an eye on the temperature of your home. More control means more energy savings. There’s even a little leaf that tells you when you’re being energy efficient. 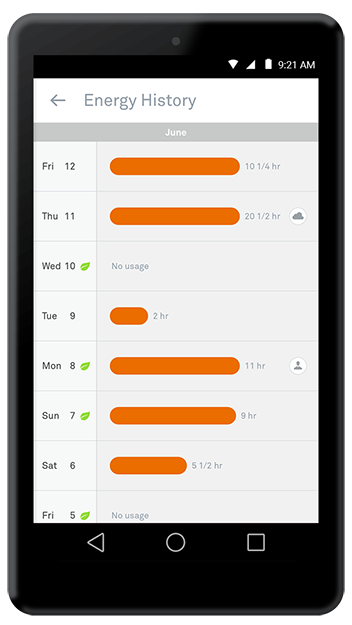 Use the app to view usage history and keep track of temperature changes. 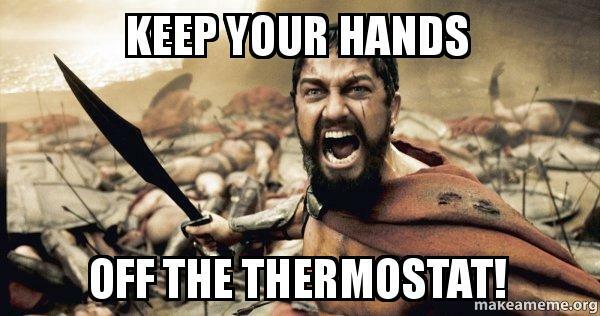 No need to constantly adjust your thermostat. Nest learns your schedule and knows when you leave for the day, come home, and go do bed. It learns your temperature preferences and adjusts to the weather outside as well. The large LCD display lights up when it senses you enter the room so you can easily view the temperature inside as well as outside. Mobile reminders to change the filter help keep your HVAC system running its best all year. The Nest thermostat also sends alerts when the temperature in your home is dangerously high or low, preventing pipe freezing in the winter. Also, the design is clean, simple, and comes in four cool colors!